Séverine Lair is a bioinformatics engineer with expertise in biological and genomcis databases, NGS technologies and analyses in the field of biomedical research and genetics diagnosis and has an experience in bioinformatics project management after 10 years spent in the bioinformatics platform of Institut Curie in Paris. 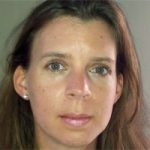 She has a Master degree in Bioinformatics and Biology from the University of Rouen. She joined Interactive Biosoftware in December 2013.